I do not think that my husband, who grew up with Charlie Brown and his gang and was a particularly big fan of the Red Baron, is aware that there is a new Peanuts movie on the way and I am not sure what his reaction will be. The gang is all back again in the new Peanuts movie but they definitely have a different feel, which can be attributed to the technology used to make this movie for "It's a computer animated movie, Charlie Brown." The previous shows featured hand-drawn animation so those who grew up with the original programs might find that the characters look, well, a little bit odd. I do. In this new feature-length movie, Charlie Brown starts off hoping that this is his big chance. That things will be different from now on. That his embarrassing moments can be left behind...but we all know that that is not likely to happen. Finally, here is the Christmas-themed trailer. I love the idea that the movie incorporates the Christmas holiday season. My husband will be glad that the Red Baron does appear in the movie and I love the scene of him flying over the Eiffel Tower in Paris. Are you a Peanuts fan? What do you think of the idea of a new movie? Of the computer generated animation? 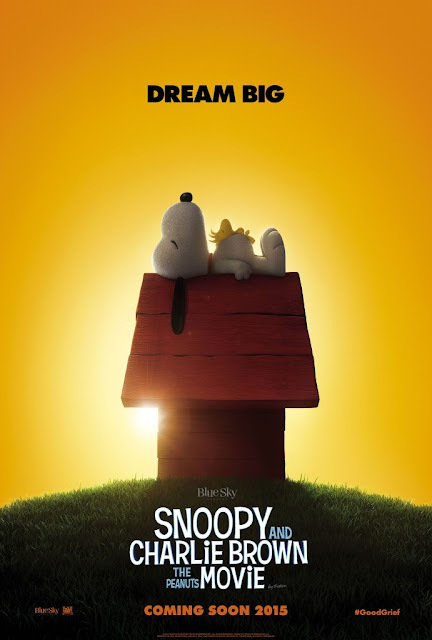 Will you be adding The Peanuts Movie to your viewing list? I'll Be Home for Christmas puzzle. The Best Peanuts Coffee Mugs. Looks like a winner! And anyway, what's not to absolutely love about Charlie Brown? It's sure to be a winner for existing fans and to develop a new fan base for the Peanuts franchise.